The word Ajna means “order”, in the sense of the Guru’s command (spiritual guidance). In the Ajna chakra there are possibilities to make consciousness of Kundalini. 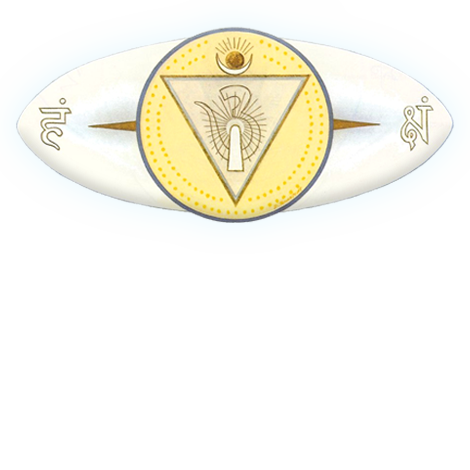 The Ajna Chakra is also called the third eye (eye of psychic vision). Its location is in the forehead (brow region). Some sources say it is located or connected with other chakras in the Medulla Oblongata region that is mirrored in the frontal lobe. Ajna is said to be a chakra of time and awareness and of light. It is said to be white in colour, but some sources mean that it is more indigo in hue and arelated to original thought and clairvoyance.